Fully colour-illustrated flora of the mushrooms of Central Africa. The coloured illustrations concern as well watercolour drawings as reproductions of slides. The flora is published in French; from fasc. 10 onwards, the keys are translated in English and the illustrations coded, so as to make easy usage of the flora in English-speaking countries. Each volume contains a text catern and free plates. 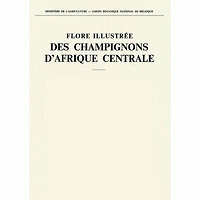 - The series is a continuation of the Flore Iconographique des Champignons du Congo (1935-1972) and in 2007 replaced by The Fungus Flora of Tropical Africa.